Mount Saint Awesome - 74: Did You Miss Me? 74: Did You Miss Me? Sorry I've let this comic go un-updated for so long. Life has just been crazy for the last few months and I've had a hard time finding time to draw. 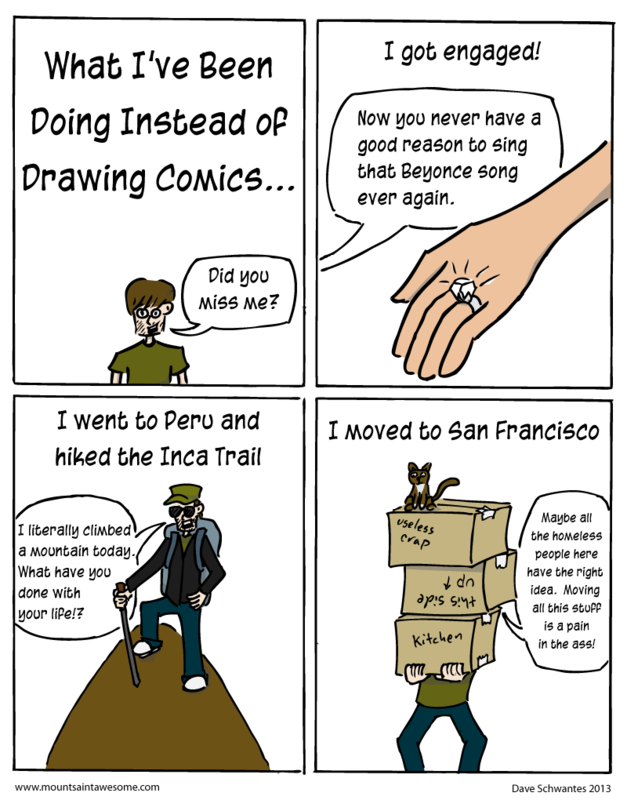 All that craziness has meant some cool things (as mentioned in this comic). Within the span of about a month I got engaged (to this girl), went to Peru, and moved from Berkeley to San Francisco. It's all been a blast, but hopefully I'll have time to make more regular updates to Mount Saint Awesome from here on out.